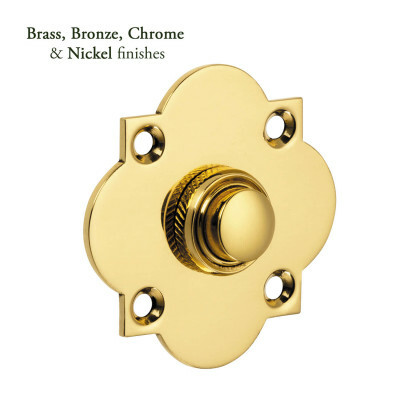 This Bronze or Pewter Round Escutcheon is available in 3 finishes. Shown here is Marbled Bronze. 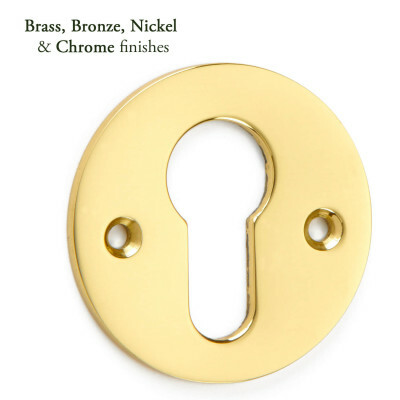 This Bronze or Pewter Round Escutcheon has a simple stepped edge that would look beautiful on any front door. Created in solid Bronze and then hand finished in a choice of Light Bronze, Marbled Bronze or Satin Pewter. 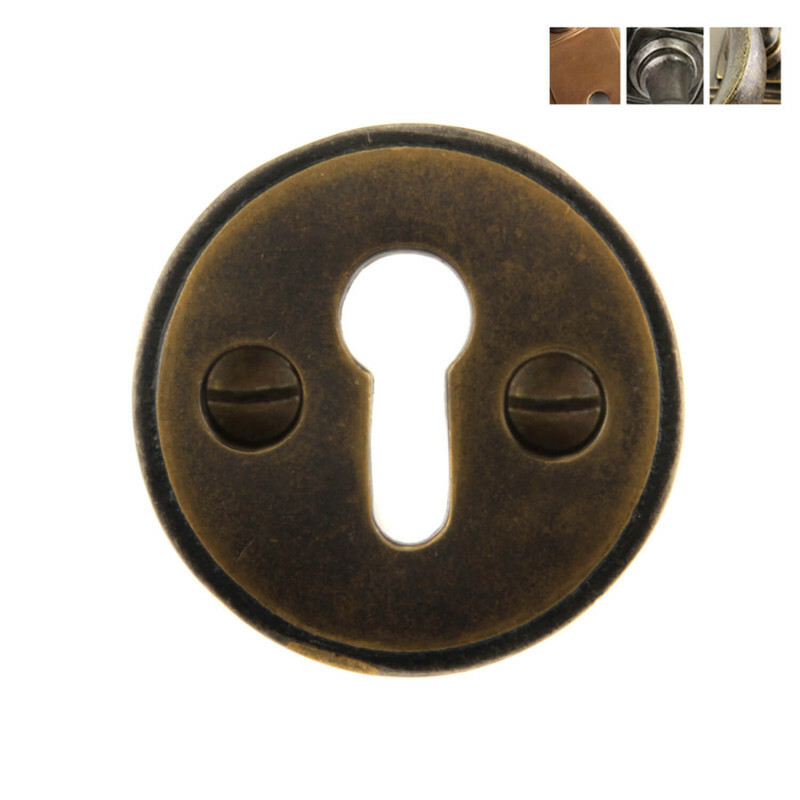 It is designed to cover the hole made in the door to receive the key for a mortice lock. Usually used on the inside where the key is often left in the door. 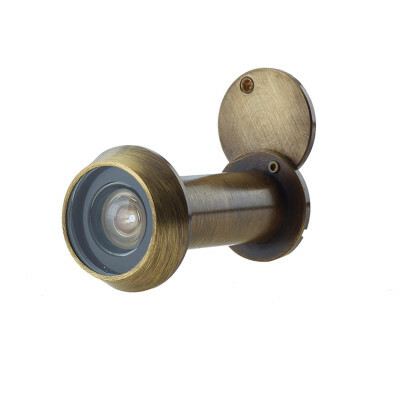 For the outside we would usually recommend a 'covered escutcheon' which will also help to keep out draughts as well as decoratively cover the hole. 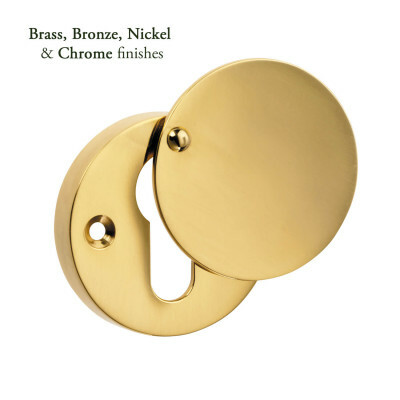 This Bronze or Pewter Round Escutcheon is part of a larger range and there is a choice of door knockers, letter plates, door and window furniture in these finishes so that you can create a complete look around your home. Please see images below for finish descriptions.